Photo shoot is generally used in fashion, glamour or magazine industry. In photo shoot a model pose for a photographer, where several photos are taken for taking out the best photo. The model isn’t always a person. For advertizing it often requires photographic description of goods. After all a good picture is less about reality but more about know how to position yourself in front of camera. Here is a quick tutorial on how to pose during photo shoot that every girl should know. The hands are best viewed at angle to the camera. Care should be taken to photograph at the side of hand, which generally continues the line of the arm when the hand is bent upward to the wrist. Unless you’re snapped by a professional photographer it is key to avoid direct head on shoots. Because there will be an absence of shadows, which could make your face wider, larger or straightly discolored. When people stand naturally, another thing they do is stand with their arms flat at their sides. This causes several problems. It makes them look awkward, their arm presses against their torso. You can correct them by having them just left their arm an inch or two so it is floating and not pressed against them. If you are being shot head on cross your legs, starting at the calf. This pose will make your hips look narrower, legs look longer and it looks a bit more casual. In a group shot the models should not do the same pose. It is a key to group photography. Everyone should shape differently, so the viewers naturally give their attention to who looks best in the pose. Smiling is a tricky thing when it comes to photos. To big, and you look silly, but none at all can make you bloody or angry. The solution is the natural smile you often do when the camera not at you. When you smile naturally the area around your eyes tends to crease a bit. So smiling for the camera is important. Research model poses in magazines from models you would like to emulate and practice them in home. When it comes to your next photo shoot you feel more confident. It also gives you an aura of strength which is naturally alluring. Those are just some of the good model poses that have proven to be good. Hope that you have found something whatever interesting for you. Don’t be afraid of being creative with different angle to take pictures and explore with the position of hands and legs. After all, we get not good result meanwhile taking photography frequently. You need to some additional retouching works into rest of the beloved photos just you have taken with photo editorial application like Photoshop, Lightroom. Clipping Path Experts provides professional image retouching services with effective cost turnaround. I highly recommend you to take photos sincerely and if you need to professional image editing service please contact us we will reply you ASAP. 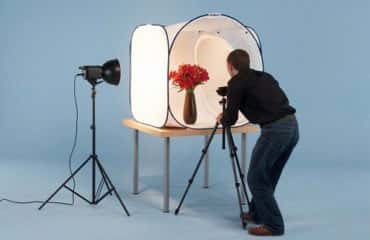 Ultimate Reasons Why Need Product Photography?